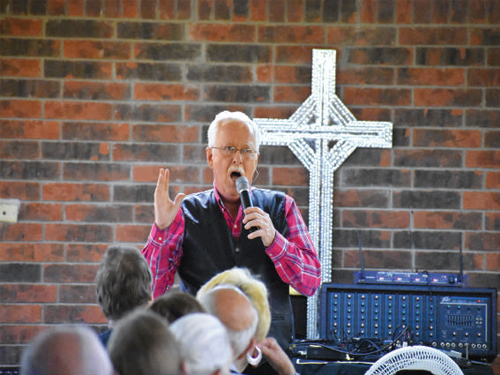 A well known Christian singer, billed as “Gospel Music’s Ambassador to the World,” Larry Ford provided a unique concert at the XIT Rangers Clubhouse Tuesday evening. Starting with patriotic tunes, with the date being September 11, Ford then moved into religious songs. With some difficulties along the way.